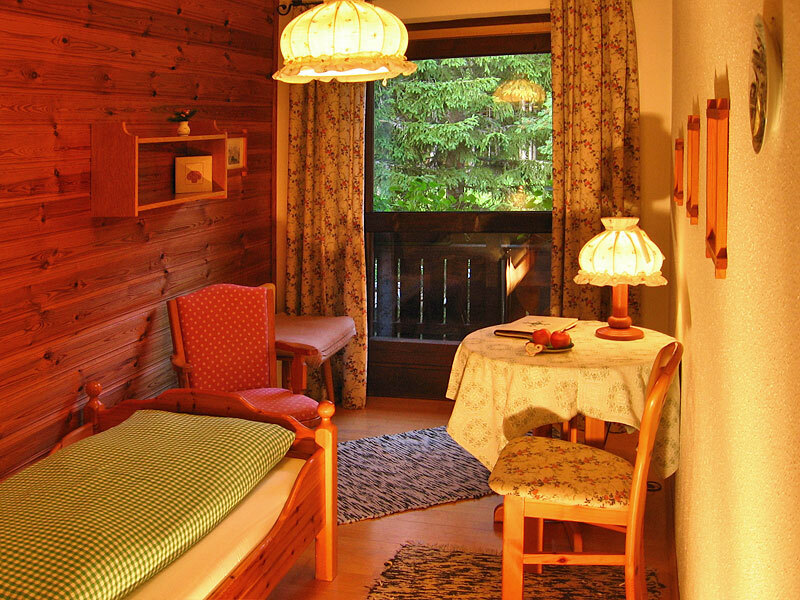 Cosy single room with natural pine furniture. 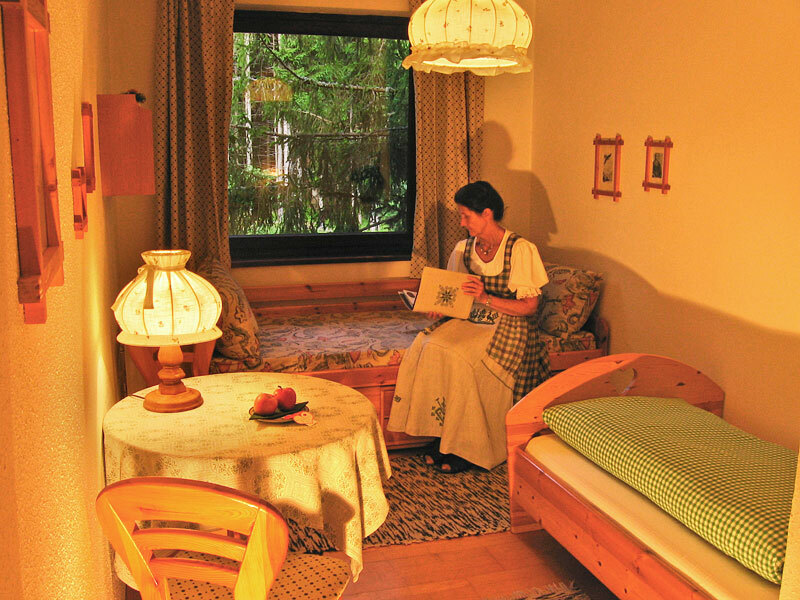 Particularly suitable for nature-lovers who enjoy watching forest birds and animals. in summer from 07.00 clock, and in winter from 08.00 clock. milk, juice, sausage, ham, cheese, herb spread *. 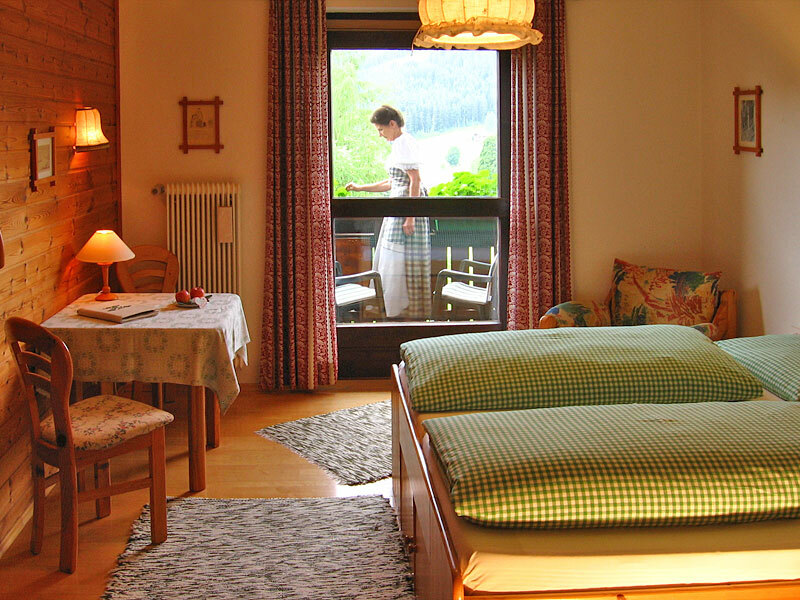 between 11.30am to 02.30pm and from 05.30pm to 08.30pm(cooking times á la carte). On the afternoon we have a small-sard with snacks and sweets. Each evening, a changing "Rosegger-dish" is offered. There is a possibility to pay in cash, by debit card, MasterCard or Visa Card. 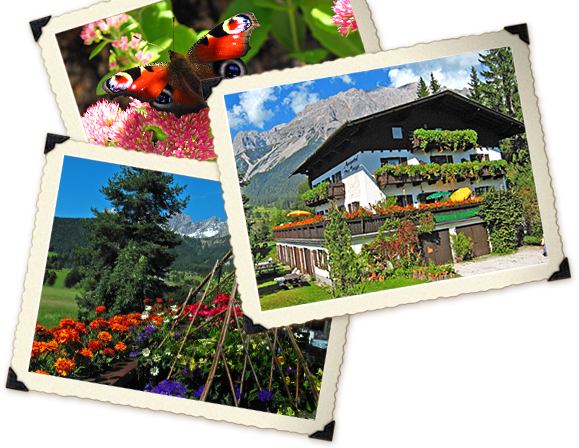 In summer, our guests will receive from us the Dachstein Summer Card. 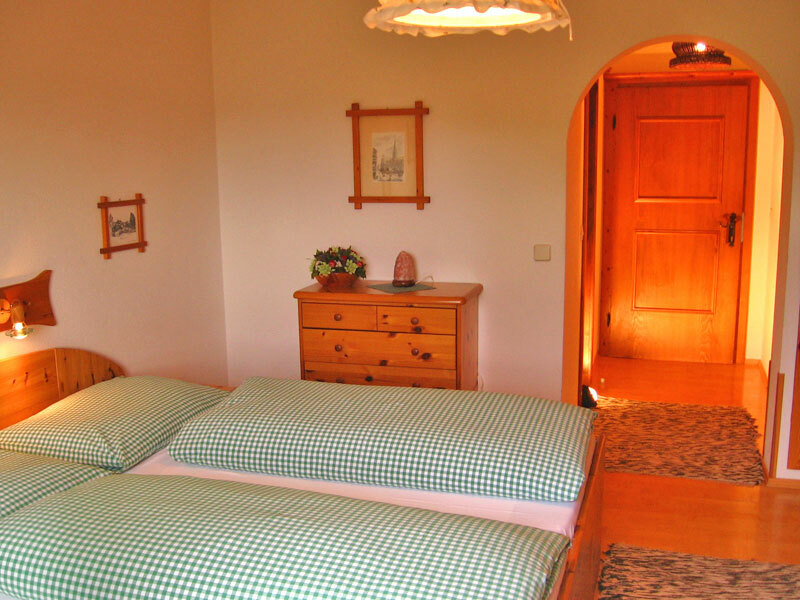 Lovingly decorated double room with natural pine furniture and splendid view of the Dachstein-Tauern mountain range.